So here we go. A little competition for you engineers and non-engineers alike. There is no prize – just a smug feeling of getting the answer right – assuming you do. 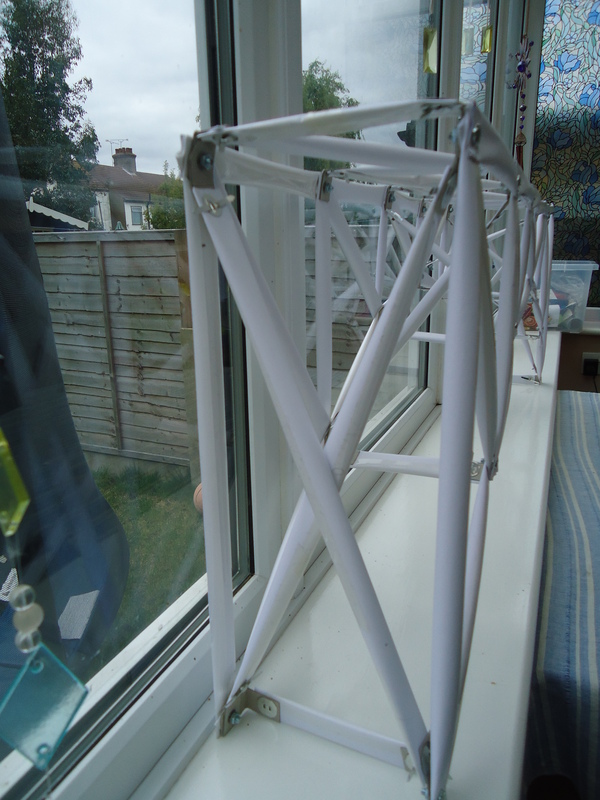 Basically, I have made a paper bridge to use as part of a demonstration session I am doing at a schools careers fair at Colchester Football Ground on Wednesday of this week. 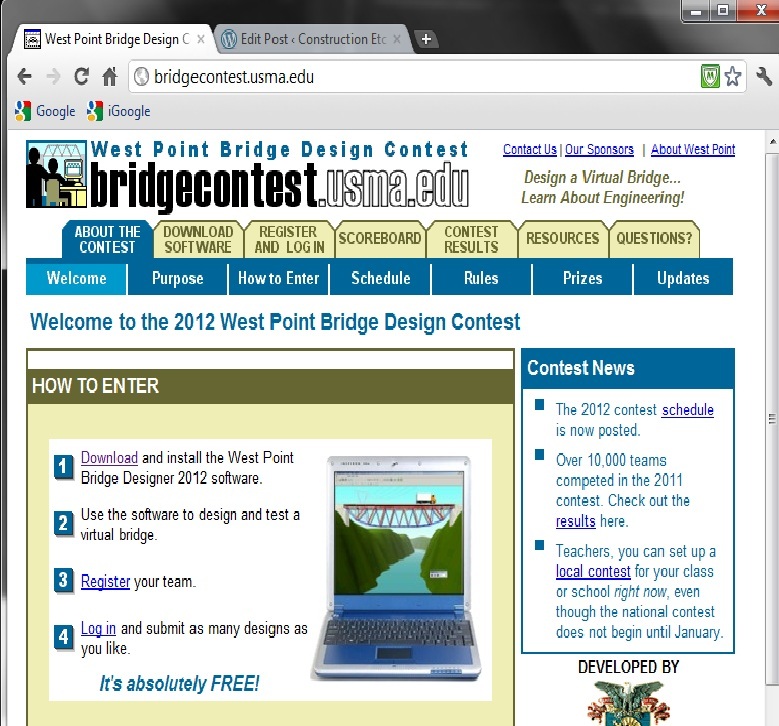 I will be demonstrating the software West Point Bridge Designer that is available for free from www.bridgecontest.usma.edu and that I think is a brilliant tool to encourage youngsters into the industry. I wrote a blog a while back about WPBD which can be found here. If you have never had a play with WPBD it is worth downloading and playing with. 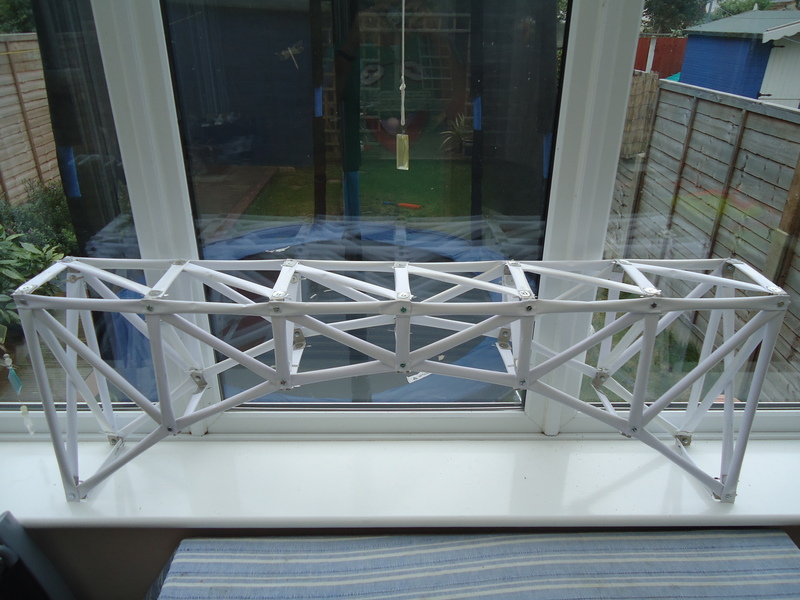 I am going to demonstrate the software quickly by designing a simple arch bridge. 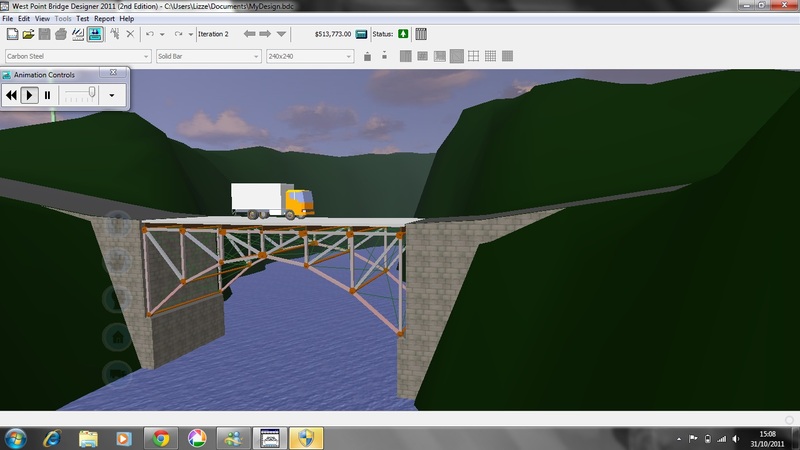 Screenshots below show the bridge design I will use in both design mode and in testing mode. 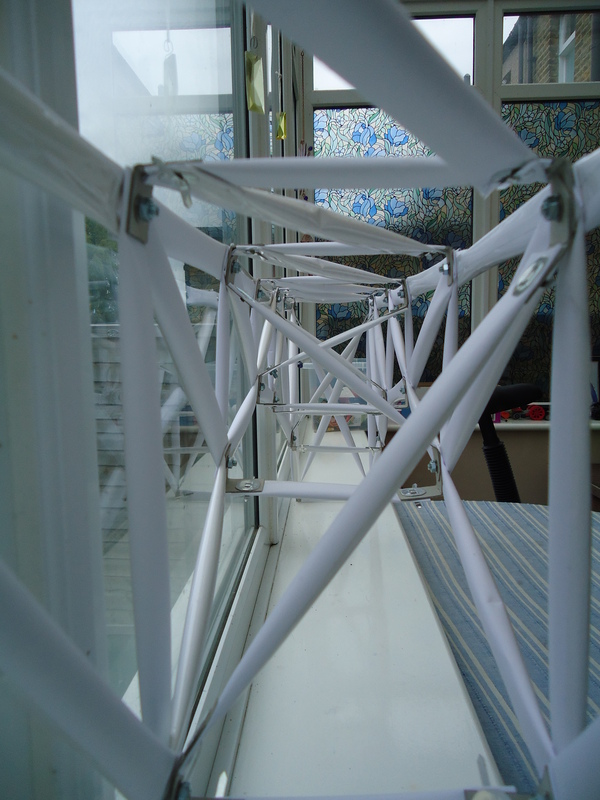 To make it more interesting I have made a paper version of the bridge above from rolled up paper sheet tubes with a combination of bolted connections and paper fastener connections. I would have used bolts throughout but they were expensive. 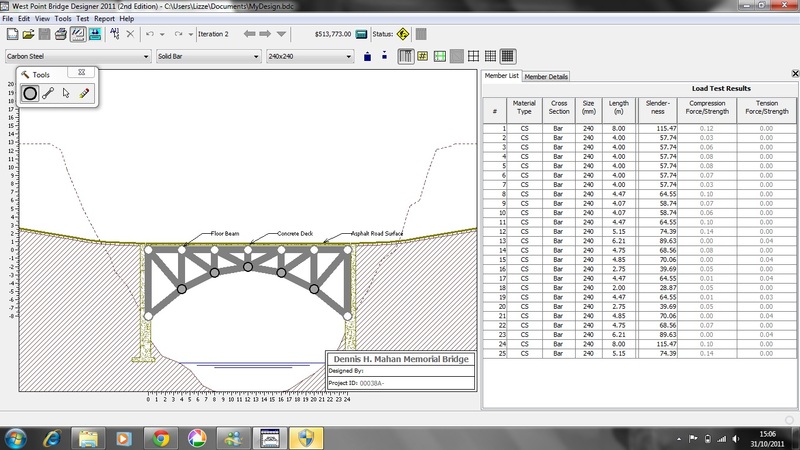 The arch bridge is 1.2m span with height at abutments of 0.4m. 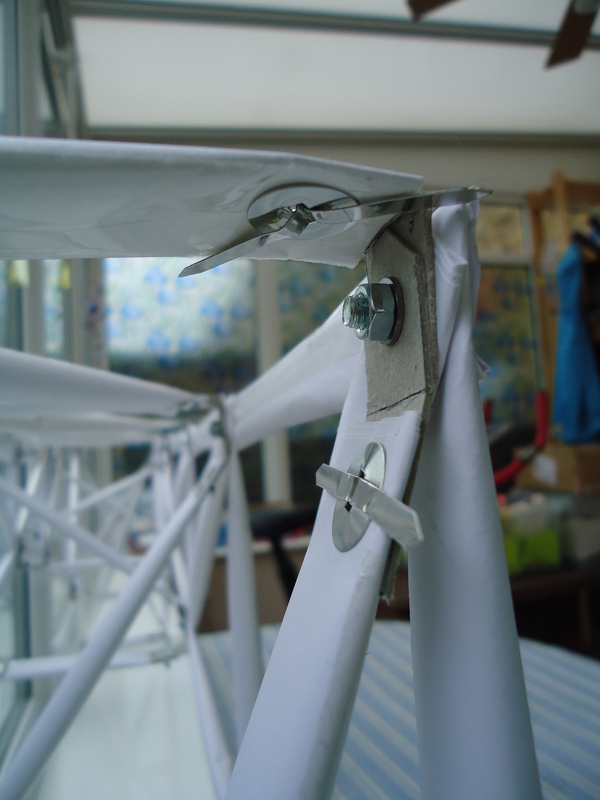 It is braced in both directions on the top plate and on the verticals. 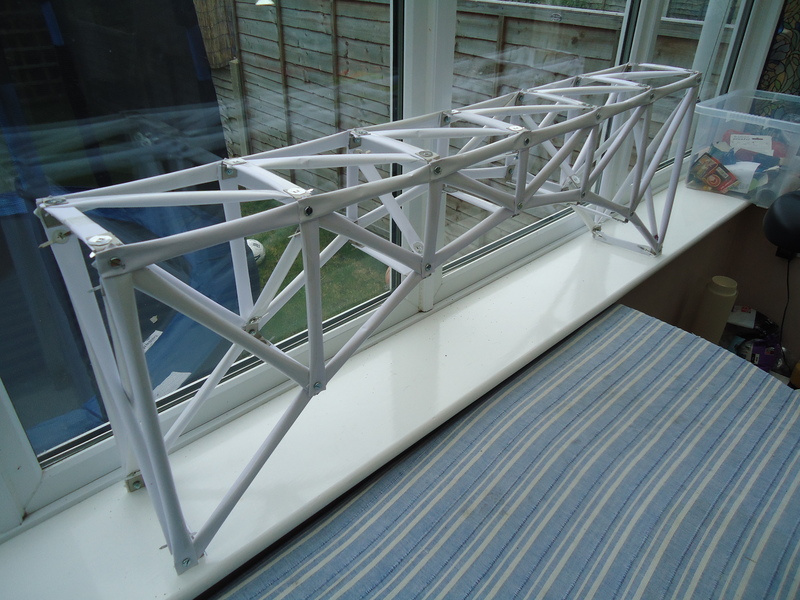 Depending on how many come along to the demo, I intend to load test the bridge to failure using mars bars that audience members can stack up on the bridge. I have bought 25 and if it looks like the bridge will take more than that (I suspect it will) I will add magazines or something else before then adding mars bars one at a time. I will however establish a ‘equivalent mars bar’ failure load’. A mars bar weighs 58 grams by the way. It will be tested between immovable abutments too. Anyway. The competition is simple. Just try and guess what the failure load is in equivalent mars bars. Either post you answer as a comment below or tweet me your answer at @noynek. The load will be applied uniformly over the central two bays of the bridge. Do study the images below and bear in mind that failure usually occurs in the connections rather than the members themselves.